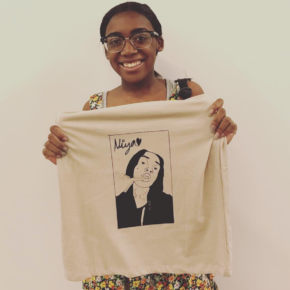 We also sell silkscreens for you to keep, as well as a variety of apparel to print on, including blank t-shirts & tote bags. 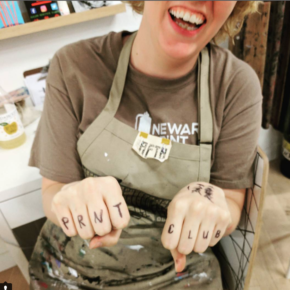 ***Please send all images to newarkprintclub@gmail.com for print during Print Club hours. 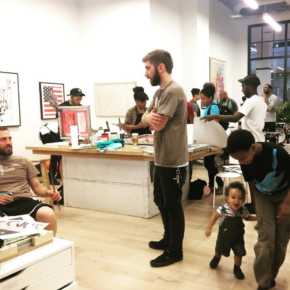 The Newark Print Shop’s PRINT CLUB is a weekly open studio for artists of all levels to come and make art together. 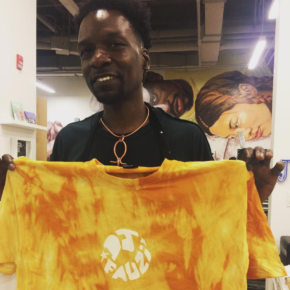 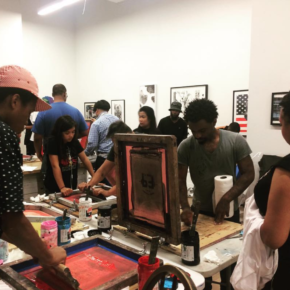 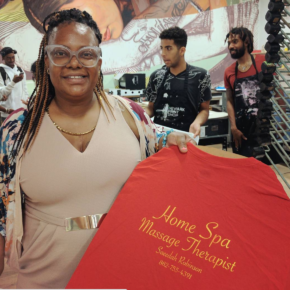 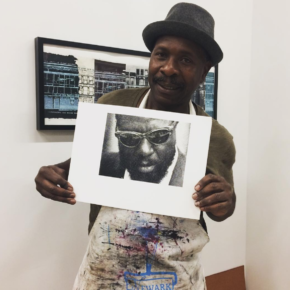 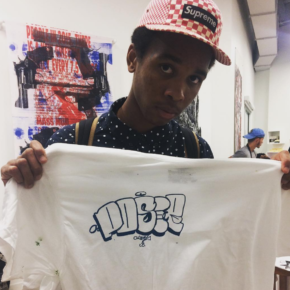 Inspired by a flier at the Newark Public Library, NPS Print Club was created in 2012 to revive the interest in the fine art of printmaking in the city of Newark, and quickly gained momentum as a community hub and true gathering around the printing press.